A Miami police officer struck and badly injured a boy who was riding a scooter in the street. Witnesses said the officer was speeding when he struck the 6-year-old boy, who was dragged 30 to 40 feet beneath the patrol car, reported WSVN-TV. 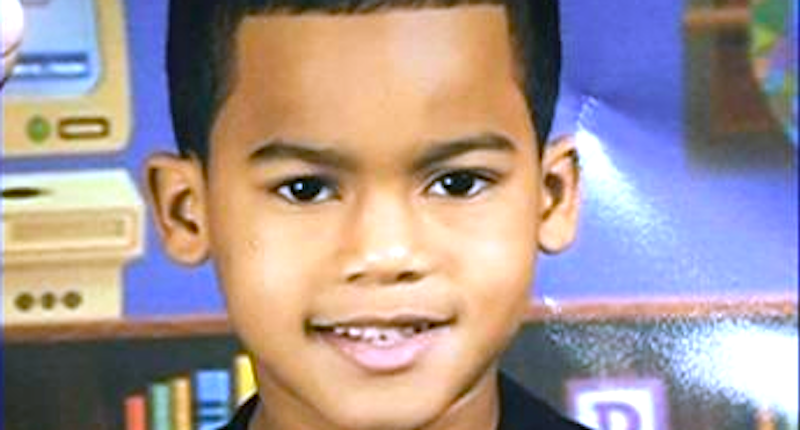 The child, Antwan Lawson, remained pinned beneath the patrol car until his grandmother, Caridad Velez, pulled him out. Bystanders tended to the boy until emergency crews arrived about eight minutes after the crash, and he was alert and conscious when he was taken to a nearby hospital for treatment. Antwan’s mother said he suffered a broken pelvis and leg and a lacerated spleen and liver — but doctors said he was expected to make a full recovery. Police said excessive speed did not appear to be a factor, and instead said the boy darted from between two parked vehicles onto Northwest Fifth Avenue. Authorities also said distraught family members punched the officers, but witnesses also dispute that account. Police said the officer, whose name was not released, was delivering paperwork to another officer down the block at the time of the crash, which remains under investigation. “He shouldn’t have been riding down a street, where kids play every day, 60 mph with no lights on, no sirens, no nothing — like, it’s negligence,” Martinez said.